A hip fracture is one of the more traumatic injuries a senior can suffer. For many, a hip fracture means a long stay in the hospital, followed by recovery in an assisted care facility. For a few, a hip fracture will mean the permanent loss of mobility and independence. Why is it so challenging for an older adult to recover from a hip fracture? Part of the reason is that the hip bone is large and plays a major role in any movement involving the lower body. Without the hip joints functioning at normal capacity, it’s impossible to lead a normal and active life. It is difficult to walk, to climb stairs, and to get up from a sitting position. Another issue that challenges seniors recovering from a hip fracture is that the whole process takes time. This lengthy recovery period can be exacerbated by an aging body. Older bones are frailer and older immune systems work less efficiently. For many, a hip fracture will usher in other health problems as the body struggles to heal. When this is combined with existing health conditions such as diabetes or heart disease, recovery time can extend for months. Recently, researchers at the University of Sydney in New South Wales, Australia investigated the effectiveness of lifestyle interventions in the management and recovery of a hip fracture. They conducted an extensive review of randomized controlled trials. Here are the eight natural remedies they deemed effective in the treatment of a hip fracture. ● Exercise is important to help the hip joint recover. Traditionally, many seniors are told to perform isolated resistance training or to participate in home-based exercise programs. The researchers found, however, that supervised, long term exercise training ushers in greater clinical benefits, including increased muscle strength, better joint function and improved mobility. 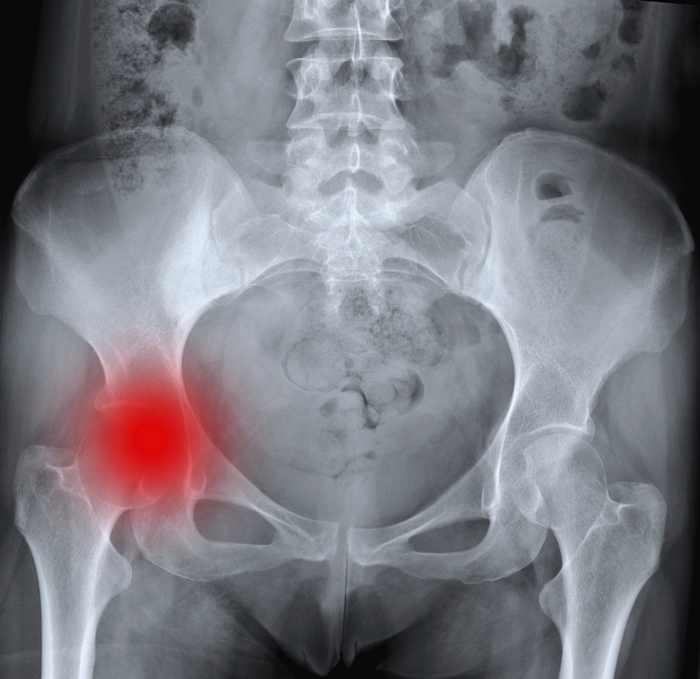 ● Multi-nutrient supplements could improve long-term health outcomes after a hip fracture. Many seniors suffer from nutritional deficiencies and addressing these can make it easier for the body to heal and to withstand the stresses associated with a hospital stay. ● Supplementing with vitamin D could improve immune function and aid in bone cell formation. ● Supplementing with calcium could help to strengthen new bone tissue. ● Nutritional counseling and support could help to improve overall health, strengthening key systems within the body, such as the digestive system and the cardiovascular system. Working to improve the diet could shorten the length of time it takes to heal a hip fracture. ● Improving protein levels can help the body to heal from a fracture. Many seniors are low in protein and this impedes the healing process. ● Participating in social interactions can help reduce the negative feelings associated with a hip fracture. Positive thinking helps to promote healing. ● Performing exercises that improve balance can help to reduce fears around falling and re-injuring a fractured hip. Fiatarone, S., “Exercise, nutrition and managing hip fracture in older persons,” Curr Opin Clin Nutr Metab Care. November 26, 2013. Stivala, A., “The Effects of a Pilates-Based Exercise Rehabilitation Program on Functional Outcome and Fall Risk Reduction in an Aging Adult Status-Post Traumatic Hip Fracture due to Fall,” J Geriatr Phys Ther. November 25, 2013. Pils, K., “Rehabilitation after hip fracture,” Wien Med Wochenschr. October 2013; 163(19-20): 462-467.